e4 Listen to (and watch) the e6 non-podcast...Podcast! 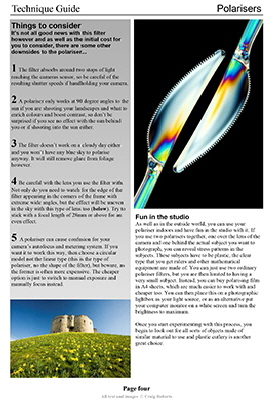 There are six great features of the subscription, hence ‘e6’, but the core of e6 are the Technique eGuides. 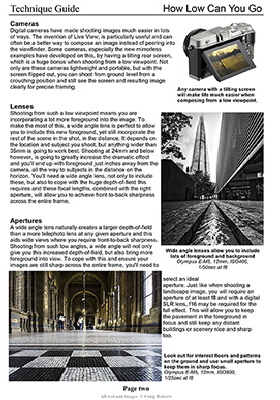 These are either magazine published or exclusive-to-e6 magazine-style tutorial guides, covering a wide range of photography subjects and techniques. There are more than 80 pdf eGuides available to download and more are being added all the time. e6 subscribers get access to all the Classic eGuides featuring technique articles, location guides and advice on buying equipment. Click here to see all available Classic Technique eGuides. If you want even more content, then a bonus pack of the Premium eGuides is also available to purchase separately. See below for details. 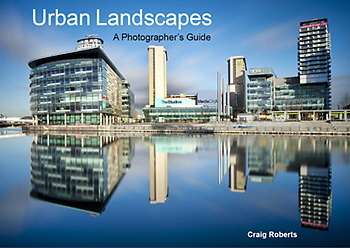 The videos feature Craig on-location giving advice on techniques, locations and cameras in his own unique style. There are more than 80 advert-free e6 exclusive vlogs to view. These exclusive videos include the series Behind the Picture, 3 from the Weekend and The ONE Project. e6 subscribers also get to preview all other YouTube videos first, before they go public. Click here to see all the Classic and Premium vlogs available exclusive to e6 subscribers. Just like the eGuides, the Premium vlogs are available to buy separately in the Bonus Pack. See below for more details. As a subscriber, you also be able to download a selection of our range of eBooks. There are several new books in the pipeline and subscribers will have free access to these. Click to see all available eBooks (the eGuides and eBooks give the ‘e’ term to the e6 Subscription!). When is a podcast not a podcast, when it’s an e6 Podcast of course. The e6 non-podcast...Podcast! 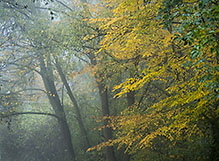 is our new platform for presenting photography related content. A different subject or topic each time, plus a chance to get your questions answered in the Q&A section. So, it’s audio with a few visuals. A video, but more made for listening too. Not quite a video, but not quite a podcast either. The non-podcast...Podcast! You’ll love it! Click to see the Podcast episodes. 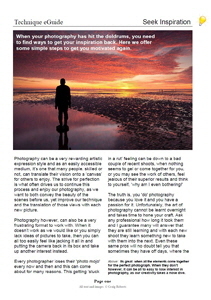 As part of your subscription, Craig will review your photography. He will assess your images for content, choice of subject, composition, use of light and creativity, giving you a full review with tips on improving, as well as highlighting your strengths. 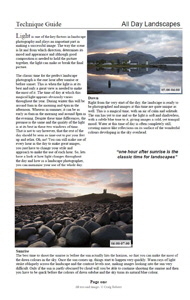 You can have six images reviewed per 12 month subscription, so keep subscribing to have more of your images reviewed each year. In addition to this service, I’m happy to receive your photography queries via email. 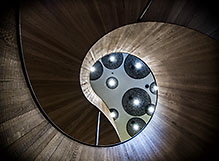 So if you need advice about a new lens, a technique or an issue you are having with your photography, then let me know. I’ll try my best to answer all your queries. All subscribers will also benefit from exclusive discount from selected online courses and City Photo Walk photography workshops. 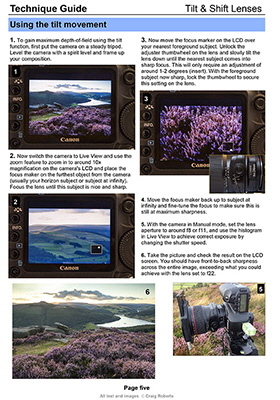 Both of these are a great way to learn and improve your photography and now at a great price too. There’s 6% off for e6 subscribers. 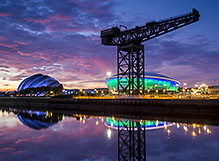 Craig has been writing and supplying images for photography magazines for 20 years, including popular titles such as Amateur Photographer, Outdoor Photography, Photo Plus, Practical Photography and Digital SLR. The articles he has written cover many of the camera techniques that inspire photographers of all abilities to get the most out of their cameras. 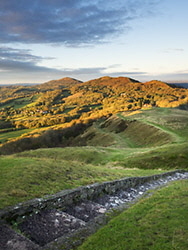 With e6, Craig is now given the opportunity to include exciting and original features that you may not see in the monthly photo titles, giving you even more content to enjoy and new techniques and ideas to try. Oh and the term ‘e6’ of the subscription title, also comes from the chromogenic photographic process of developing transparency film, which Craig used back when shooting with his film cameras. Still undecided? 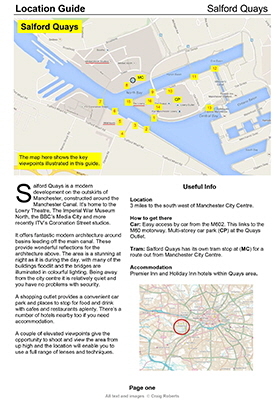 Click the links below to sample two of our Technique eGuides free of charge. Please Note: You will automatically be redirected after payment in PayPal to the e6 Welcome PDF. 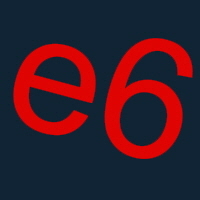 Save this to your computer and then click the link within to download the e6 content file to your computer. Listen and take part in the non-podcast...Podcast! Always first to access new content. 1: Immediately after payment you will be automatically linked to the e6 Welcome PDF. 2: Download and save this to your computer. 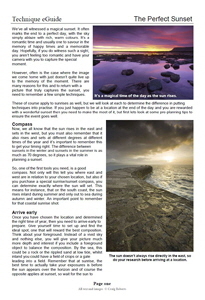 3: Click the link in the PDF to download all the e6 content (any problems, just drop me an email). If you want access to all the eGuides and vlogs available, then you can now add the Premium Bonus Pack to your subscription. This is only available to e6 subscribers and contains all the Premium eGuides and Premium vlogs listed on the website. Subscribe to e6 and then add this fantastic bonus pack for just £12.99 for the full e6 experience (see the Welcome Letter after subscribing for more details).